Mirror Mirror on the Wall, will I ever get my PRE-baby figure back, after all? 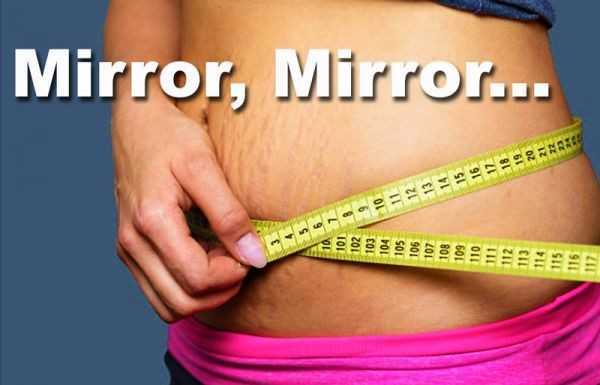 “Mirror mirror on the wall, will I ever get my former figure (before pregnancy) back?” These words I muttered to myself on the days I was brave enough to pause in front of our mirrored wardrobe. Crashing back to reality after our honeymoon bliss accompanied with overindulgence resulted in my husband and I signing up with a Personal Trainer to whip us back into shape. With A LOT of sick, sweat and tears, together we achieved our fitness body peak. I’m not going to lie, it was incredible! I honestly felt on top of the world, I had even more energy after the gruelling workouts and I wasn’t starving either – BOOST!! My Mother’s birthday, 6th July 2015, I was at work when it dawned on me that my period was late, roughly two weeks. It was flagged to my attention again when I had to call the nurse to re-arrange an appointment that was meant to happen during the middle of my monthly cycle. The awkward silence during our phone call was a little intimidating, particularly when she asked, “Could you be pregnant?” my reaction was priceless. In a calm, composed voice I replied, “No, I’m not pregnant” followed by a tiny seed of doubt . . .
On Sunday 21st February 2016 my treasured bundle of joy arrived. Can I just admit? It is perfectly natural after 9 months of pregnancy, labour and birth for your body not to bounce back!! Think of all you’ve physically been through? Don’t even get me started on the emotional rollercoaster I took before coming to that realisation! I genuinely still sit and ponder how fascinating the human body is – mind-blown!! I remember from personal experience, being reminded that, “as long as mother and baby are healthy and happy that’s the main thing.” And it absolutely is . . . so where does the overwhelming pressure come from to adjust to a baby being solely dependent on you 24/7 while looking like a model? Unfortunately, it’s most likely the unnecessary pressure we are all putting on ourselves, gosh I know I’m guilty. I fully understand that self-love is easier said than done, especially when everyone is entitled to their own opinions and enjoys sharing them. That’s what I would name “tough love” and I would argue they are a contradiction for a reason. I lived by the golden rule, “when baby sleeps mummy sleeps” as sleep deprivation was the worst!! However, I always felt more exhausted. I wasn’t moving my body enough or even getting out in the fresh air. Changes needed to be made, even if I told myself it was just for my own state of mind. If this is still a battle, stop for a minute and say to yourself, “I AM the best version of myself, I AM in great health, I AM the perfect weight, I AM the perfect size.” Admittedly this feels a bit nonsensical to start with, the key is to R E P E A T, R E P E A T and R E P E A T again!! After drumming this into my own subconscious, I began to see alternative choices daily when it came to the food I was eating, and I began exercising whenever my son napped. This is my priority because I love being that Mummy who can run around after her boy watching his face light up with joy. Please recognise you really do deserve it all and it ALL starts with YOU!! Introducing my “reward routine”. Because my darling boy is an early riser, “when the sky is awake, I am awake” (Disney’s Frozen, 2013). I began rewarding myself with a morning nap while Elijah napped. The next part was challenging myself to get outside in the fresh air, pushing the pram when Elijah napped again. When that felt comfortable, I increased the challenge, to two laps around the block pushing the pram and eventually up and down hills. By demanding more of myself, I was moving so much more, and I was having fun doing it – SUCCESS!! Now that Elijah is older, and his routine has changed to one nap daily I thoroughly enjoy a Konga workout to put me through my paces. Konga is a dance fusion of boxing, ballet and booty shaking to high energetic chart music. My challenge now is to achieve this at least 2-3 times a week. I chose Konga because I have always loved dance and I realised I missed doing it now that my life had changed. It truly is rewarding to be able to find an exercise routine that is also a hobby! Last but certainly not least, this may sound simple although most of the time we lack serious action. The key to success – if you fail to prepare, be prepared to fail. What does this mean? Regarding your health and wellbeing, try and organise yourself as much as possible the night before. For example, I check my calendar to remind myself the schedule for the next day and then act to ensure the day will run smoothly. This could be preparing food, packing college and nursery bags, laying out clothes, laying out my activewear and setting out the workout DVD. I can guarantee you being prepared eliminates excuses. You also get more rest, since you don’t have to rush around throwing everything together. Understandably not every day is going to run smoothly, this is okay, it’s a part of life. Challenge yourself to start again the next day. Most importantly celebrate the wins!! Forget Tandem Nursing, This Mama TRI-ANDUM Nursed! Charlene is a devoted wife, mother, and now college student. She resides in the United Kingdom where she is pursuing an education in social sciences so she can start her own business that will focus on early childhood development and mindset coaching. She is passionate about supporting and empowering children to be confident, capable, independent and responsible; especially children in vulnerable communities. Tuesday, December 05 2017 Mirror Mirror on the Wall, will I ever get my PRE-baby figure back, after all?